Let the Hunt begin. The Hunt for The Most Perfect Polar Bear Views in Canada. Never the Bears. We have all seen on some lazy Sunday morning that strikingly beautiful image of a Polar Bear exploring the wildlife in a pristine bright-white setting. Unfortunately for us, the closer we've ever been to a Polar Bear was from our HD TV. 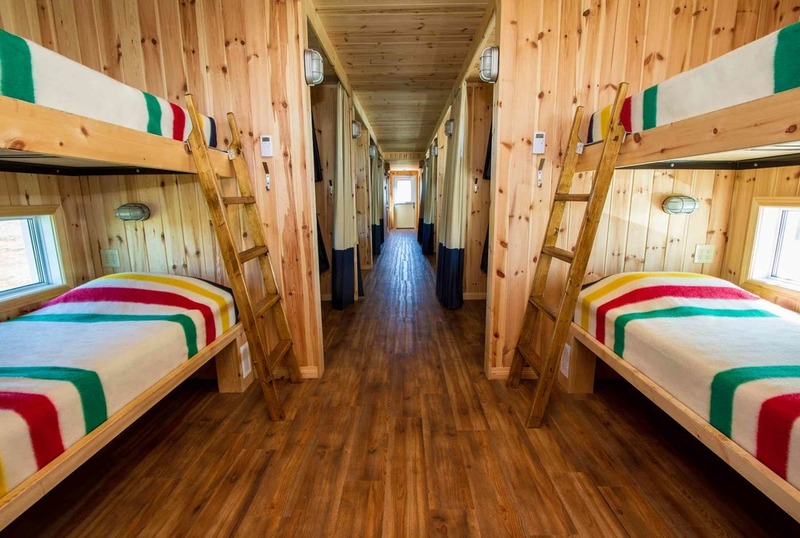 Fortunately, Tundra Buggy Lodge took the matter in its own hands and came up with one of the most surprisingly lodges we have ever came across with - a lodge on wheels that takes us right to the hearth of the Polar Bears natural habitat: the Canadian Tundra. Curiosity was at its highest levels and we had to reach out for the people behind this one-of-a-kind project. The result was the the interview below. What makes Tundra Buggy Lodge views so perfect? 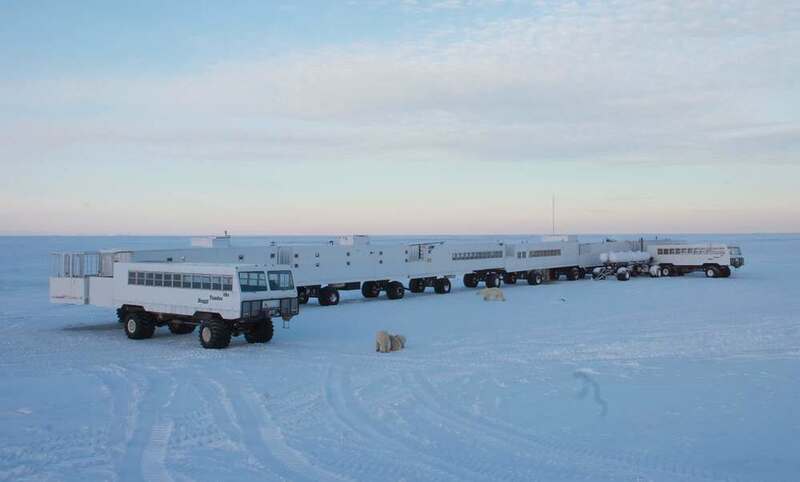 The Tundra Buggy Lodge is located on the coast of Hudson Bay on Polar Bear Point in the Churchill Wildlife Management Area, located roughly 20 km from the town of Churchill. This allows guests an unobstructed view of the vast, wide-open spaces of the Canadian tundra and the waters of the Hudson Bay. As well, if the opportunity for northern lights viewing arises (weather dependent) there is no interference from the lights of town. Tundra Buggy Lodge packages start in mid-October and end in late November, when the congregation of polar bears is at its peak. How should one experience Tundra Buggy Lodge views in a truly memorable way? Guests capture photos and videos, and take moments to reflect on the beauty of the tundra in their own ways. We are aware of Tundra Buggy Lodge occasional Northern Light views. How do adventurers react when experiencing this phenomenon? Experiencing the northern lights for the first time is a truly magical feeling, and many guests are simply awe-struck into silent reverie or shriek with glee at the chance of seeing the incredible phenomenon. Is there a particular room or division at Tundra Buggy Lodge you would like to highlight for its perfect views? Between each unit of the Tundra Buggy Lodge are open air observation decks where guests can have a completely unobstructed view of the tundra. These are the best places to photograph northern lights, come face to face with polar bears and enjoy the cool breeze blowing off the Hudson Bay. What is Tundra Buggy Lodge itinerary? Tundra Buggy Lodge itineraries vary dependent on which adventure level is chosen. Adventurer Level: 2 nights in Winnipeg (pre- and post-tour); return airfare: Winnipeg to Churchill; Churchill Interpretive transfer; 2 nights at the Tundra Buggy Lodge; 2 full-day Tundra Buggy excursions; All meals included. Self-Guided Tour. Enthusiast Level: 2 nights in Winnipeg (pre- and post-tour); return airfare: Winnipeg to Churchill; Churchill & Area Tour; visit to the Churchill Eskimo Museum, Parks Canada Interpretive Centre, and Dog Sledding; 3 nights at the Tundra Buggy Lodge (some departures include 1 night in a Churchill hotel as well); 3 full-day Tundra Buggy excursions; All meals included. Led by a Frontiers North Interpretive Guide. Specialist Level: 2 nights in Winnipeg (pre- and post-tour); return airfare: Winnipeg to Churchill; Churchill & Area Tour; 5 nights at the Tundra Buggy Lodge; 5 full-day Tundra Buggy excursions; All meals included. Led by a Frontiers North Photo Specialist Guide. How many days are needed to fully enjoy the Tundra Buggy Lodge experience? It depends on each traveller individually. Some prefer a shorter time just to get the chance to explore the tundra, others are avid photographers or wildlife lovers that want to spend the maximum amount of time on the tundra. Our shortest duration offered at the Tundra Buggy Lodge is 2 nights. Describe Tundra Buggy Lodge view in a single word. Could this be Zanzibar's Most Perfect Beach?